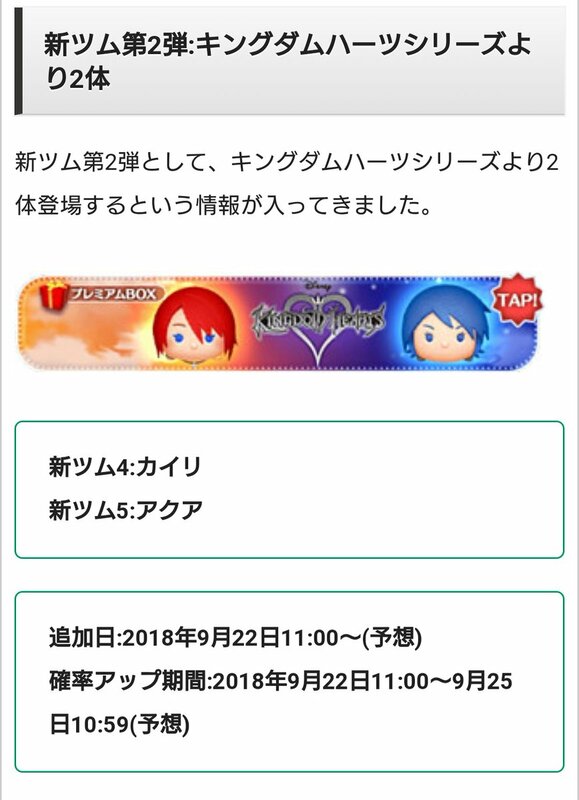 It's time for Kairi and Aqua to shine in Disney's Tsum Tsum mobile game. @nogitako46 first tweeted images of the Kairi and Aqua Tsum Tsums, and @e3m_o tweeted about Sora and Riku Tsum Tsums returning to the game. Hopefully it won't be long until fans who play the Global game will get a chance to obtain these characters. 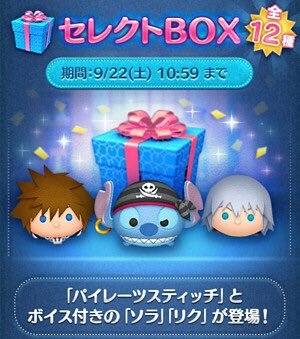 The second volume of new Tsum Tsums will have 2 characters from the KINGDOM HEARTS series. Thanks to Zephyr for the translations! Good to see that Aquaâ€™s not a Tsumanort. 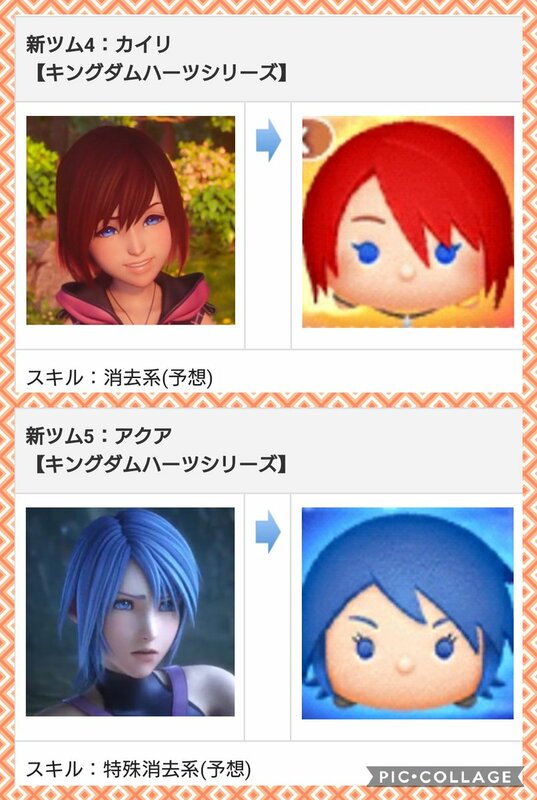 I like how the picture of Kairi is from KH3 but her Tsum Tsum seems to be based on her KH1 look XP Anyways, it's nice to see more KH characters added to that game and I like that we get some female representation now. 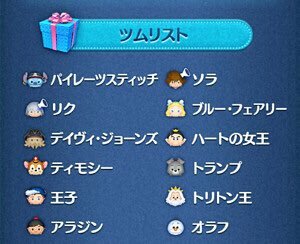 I really hope that Roxas and Terra get Tsum Tsum variants soon! I'm genuinely shocked that Aqua is a part of an earlier lineup, though she has been getting more and more of the limelight within the past year or so. So, that's good. We just ..rarely if ever skip over the KHII characters. O.o that would look pretty cool though.